Joanna has a quote from the Disney film Alice in Wonderland (based rather loosely on the Lewis Carroll books 'Alice in Wonderland' and 'Alice Through the Looking Glass') at top of her blog, "A very Merry Unbirthday to you, to you. A very Merry Unbirthday to you. ", and a few days before Christmas I had a Very Merry Unbirthday indeed. 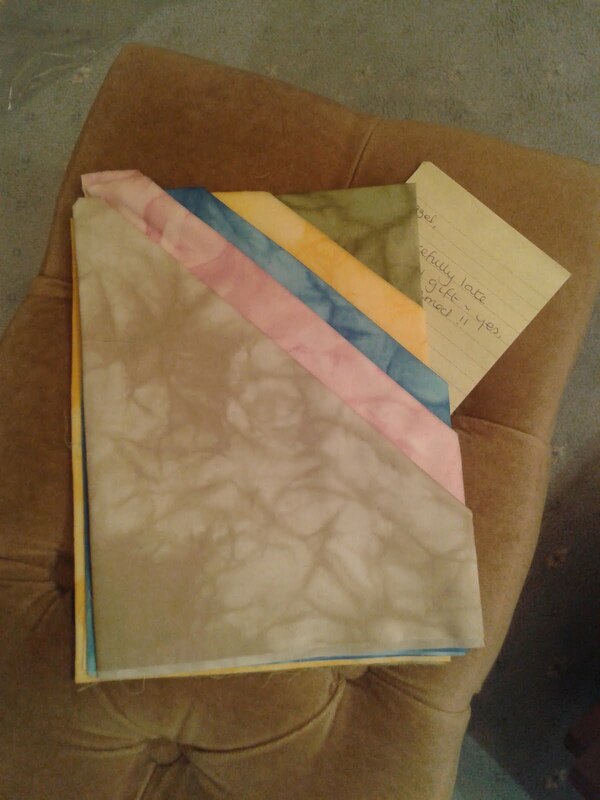 I received a package through the post from my dear hairy-footed friend which contained these marvellous marbled stof fat quarters, along with a oops-outrageously-belated-birthday-gift note. Unexpected, delightful and beautiful - I love them, and thank you very much indeed, hobbit, you are extremely kind. Meanwhile, on this Boxing Day evening, I have retreated to the cool of the sewing room in the attic to de-lint and oil the sewing machine and put in a new needle. 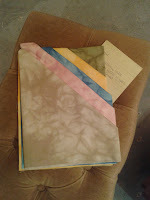 And now I have a new blade in the cutter, and I have that thrill of starting a new quilt. With a glass of festive port, obviously. Happy Belated Birthday and Happy Boxing Day! The fabric you received is in perfect hues, I think. Really lovely. I was thinking I should do the same as you and prep all of my tools so I can be off to a good start in 2012. Good idea. Thank you, Joanna. 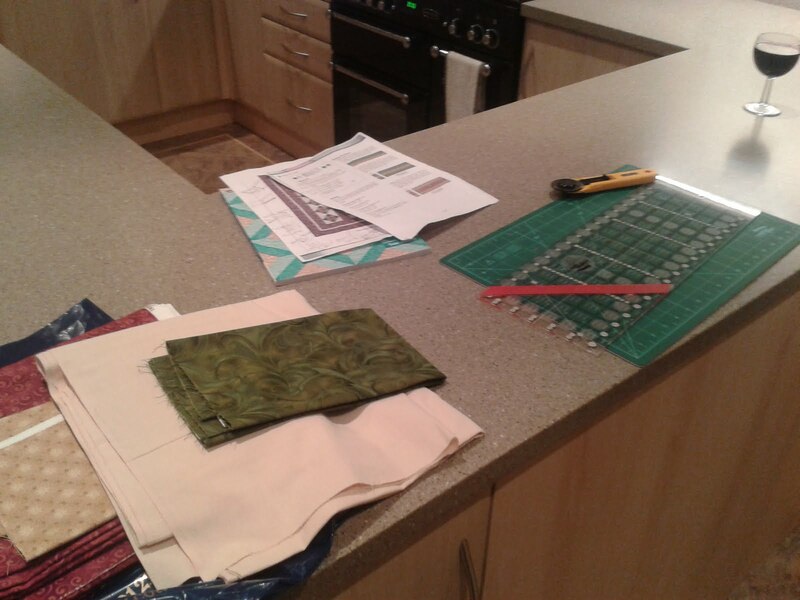 I must tell you that I am not normally this organised!